Reduced design costs, less downtime, faster innovation and more thorough testing – all significant benefits afforded by additive manufacturing. Thanks to 3D printing, the notion of being able to produce customised, lightweight and high-performance end-use aircraft parts – without the expense of traditional manufacturing processes – is no longer a flight of fancy. Instead, things have really taken off. Across the world aerospace manufacturers are now increasingly able to rise to the challenge of creating low-quantity but often incredibly complex, high-value parts. 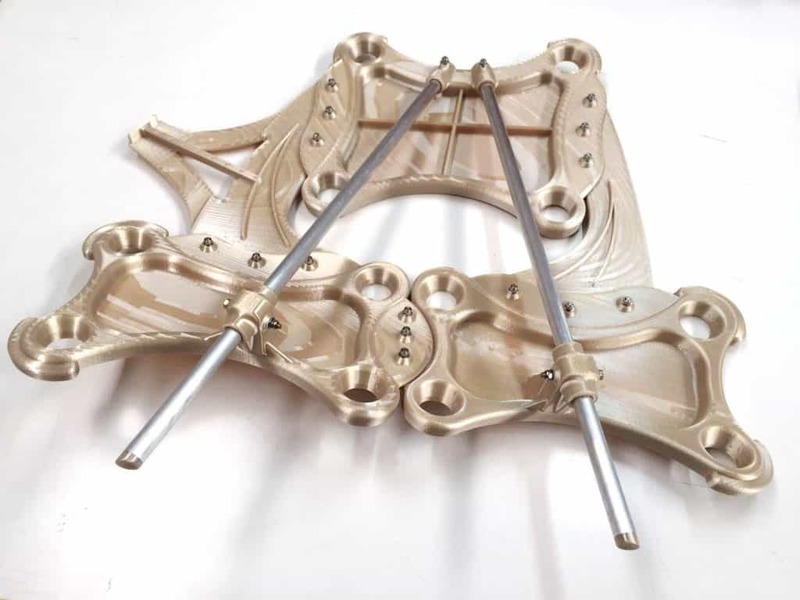 The latest success story comes in the form of engineering specialist Indaero, which has secured new business with several tier one and two Airbus suppliers after turning to 3D printing for the production of complex tools. Using a Stratasys Fortus 450mc machine and ULTEM 9085 material, the company is turning out intricate shapes that perfectly fit the curvature of aircraft panels – something not possible using traditional aluminum tools and giving it a distinct advantage over its competitors. ULTEM 9085, an incredibly robust but light thermoplastic, is perfect for aerospace. Its FST (flame, smoke and toxicity) rating, coupled with a high strength-to-weight ratio, empowers technicians to 3D print advanced functional prototypes and final-use parts, without the cost or lead time of traditional tooling. Stratasys-pioneered Fused Deposition Modelling (FDM) technology builds parts layer by layer from the bottom up, by heating and depositing the thermoplastic filament. Darío González Fernández, CEO of Indaero, said: “To traditionally manufacture production tools injection moulding or CNC machining would be used, but this would be very time-consuming and costly. “With our Fortus 450mc we can service low-volume production quickly and cost-effectively, producing many different tools on demand to accelerate the manufacturing process and ensure we meet customer delivery deadlines. “The importance of the ULTEM 9085 material cannot be understated either. It has become an integral part of our production process, as it is certified for aerospace and well-known by our customer Airbus for a number of aircraft applications. Using the Fortus 450mc, Indaero has optimised a series of production tools for the manufacture of an Airbus NH90 helicopter. One of these – designed to fix a slide box onto the interior of the chopper’s wing – is a remarkable 9kg lighter than its aluminium predecessor, which required two operators to hold it against a panel while marking the drill holes. It is now capable of standing on its own. SYS Systems is the UK Stratasys platinum partner. From its Advanced Innovation Centre in Foston, Derbyshire, it supplies the full Stratasys range, offering installation, training and a full post-sale support package. 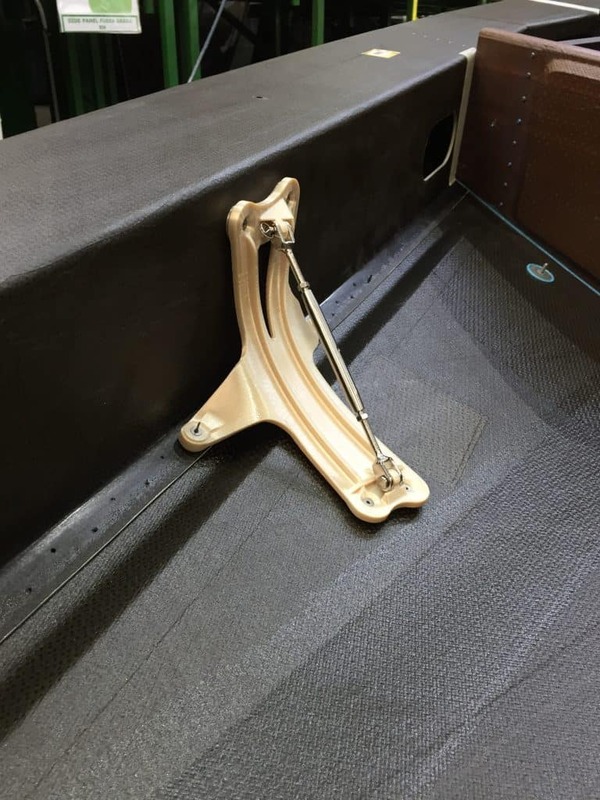 Andy Middleton, General Manager of Stratasys Europe, Middle East and Africa (EMEA), said: “FDM has long been an additive technology of choice for the aerospace industry, particularly for customised tooling applications. “Companies are leveraging high-performance materials such as ULTEM 9085 to produce lighter, better-performing tools on the production floor in less time and cost.